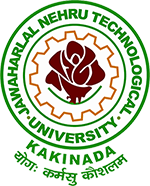 JNTUK B.Tech 3-2 (R13) Regular Exams Question Papers April 2016, jntu kakinada 3-2 regular previous question papers Download Here. Sir I want jntu ananthapur r13/3-2 question papers in eee ,please I kindly request upload sir. I am requesting you to upload the IT Branch previous question papers( 3-2) as early as possible. wait 1 hour, we are updating all Q.p links.